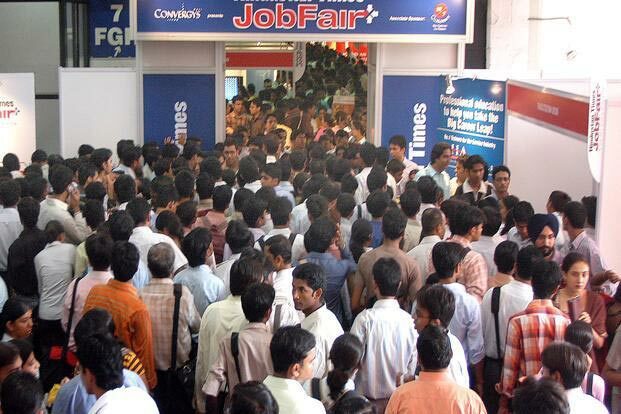 Contrary to market perception, India’s unemployment rate halved from 9.5 per cent in August, 2016 to 4.8 per cent in February this year and among major states, a sharp decline was registered in Uttar Pradesh. According to the SBI Ecoflash, during August, 2016 to February, 2017, unemployment rate in Uttar Pradesh registered the maximum decline from 17.1 per cent to 2.9 per cent, followed by Madhya Pradesh (10 per cent to 2.7 per cent), Jharkhand (9.5 per cent to 3.1 per cent), Odisha (10.2 per cent to 2.9 per cent) and Bihar (13 per cent to 3.7 per cent). “We believe this decline is primarily due to the government’s efforts in providing new employment opportunities in rural areas,” said the report compiled by State Bank of India research team led by Group Chief Economic Advisor Soumya Kanti Ghosh. The report further noted that the decline was also explained by household demanded/allocated work under MGNREGA, which increased from 83 lakh households in October 2016 to 167 lakh households in February 2017. Moreover, the number of works completed under MGNREGA increased by a whopping 40 per cent to 50.5 lakh in 2016-17 compared to 36.0 lakh in 2015-16. Notable increase was registered in the works of anganwadi, drought proofing, rural drinking water, and water conservation and harvesting. “This is a welcome trend and will contribute greatly for developing rural infrastructure a sine qua non for sustained agri growth,” the report said. In the Union Budget FY18, MGNREGA scheme has been allocated a budgetary resource of Rs 48,000 crore.